Since I pack lunch for work everyday, I usually attempt to make larger quantities of dinner to be able to take leftovers as my meal. However, some weeks dinner is such a success that I am left with a hodge podge of ingredients and nothing to take as a quick lunch. 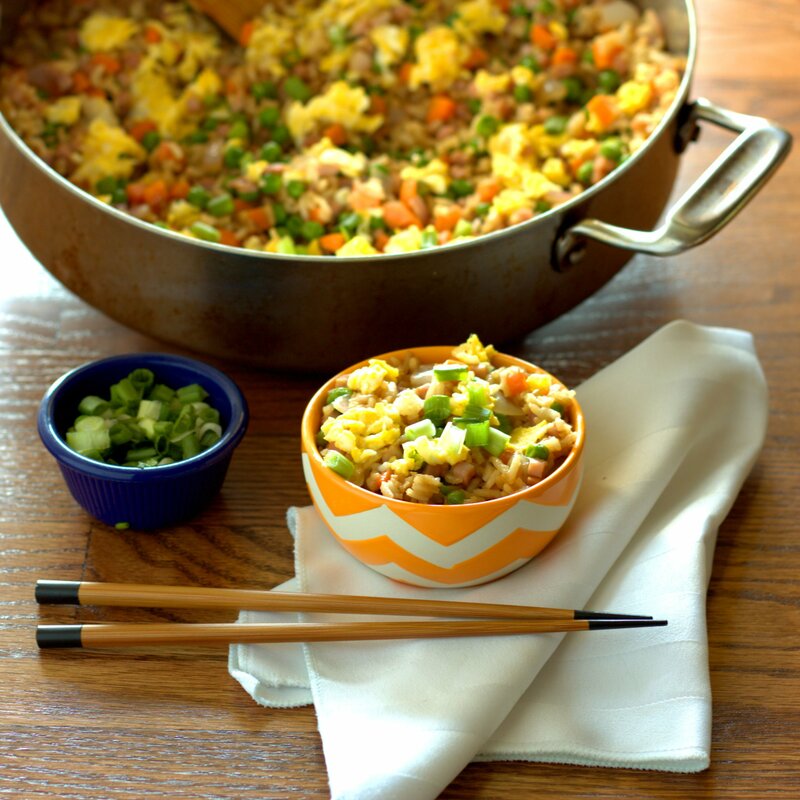 This week I decided to use my random leftover items – cooked rice, diced red onion, and diced ham – and created a Ham Fried Rice. 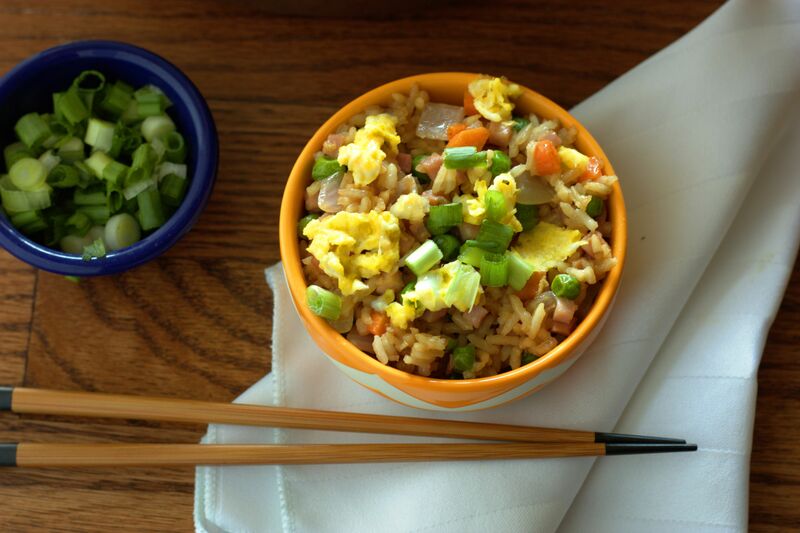 My fried rice typically changes a bit each time I make it, so I decided to do a quick search to see how my fried rice recipe(s) compare to others out there. One of the blogs that caught my attention was the one on gimmesomeoven.com, since I agree with many of her tips. She recommends using precooked rice (my favorite too, but probably just because it is easier) and adding oyster sauce. By coincidence I used similar veggies to the recipe on gimmesomeoven.com (though in higher quantity) and I decided to try her tip of using butter instead of an oil. I ended up loving the result (and so did my husband). The oyster sauce wasn’t too overpowering, and it was filling enough that I wasn’t hungry 15 minutes later (which is a good thing, since I am usually starving by mid-morning and struggle to not scarf down my lunch by 11am. Being ready for a second lunch around 2pm wouldn’t be ideal). The ginger was just a gentle hint, so if you like ginger go ahead and add a bit more. 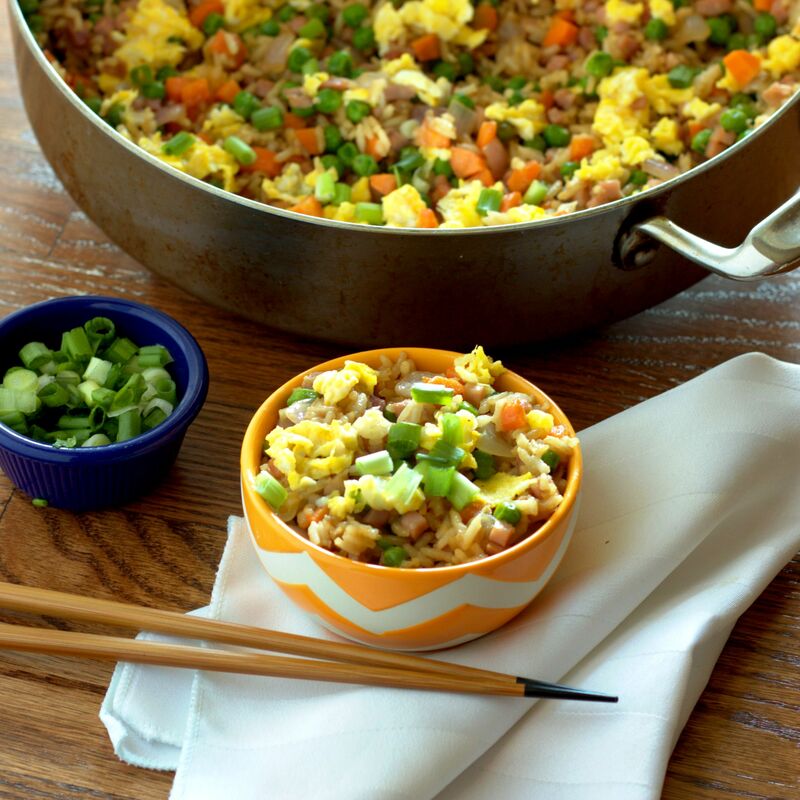 My Ham Fried Rice was such an easy dish to make to supply a few lunches this week, that I think I am going to add it to my go-to rotation. Add 4 tablespoons butter to the pan and heat until melted over medium-high heat. Add carrots, and onion, and saute for 3 minutes or until onions begin to soften. Add the peas and ham, and saute for 1-2 minutes longer. Finally, add the rice, soy sauce, oyster sauce, and ginger, and stir until combined. Continue stirring for an additional 3-4 minutes to fry the rice. Keep warm. Coat a non-stick pan with cooking spray then heat over medium heat . Add eggs, and cook until scrambled, stirring occasionally. 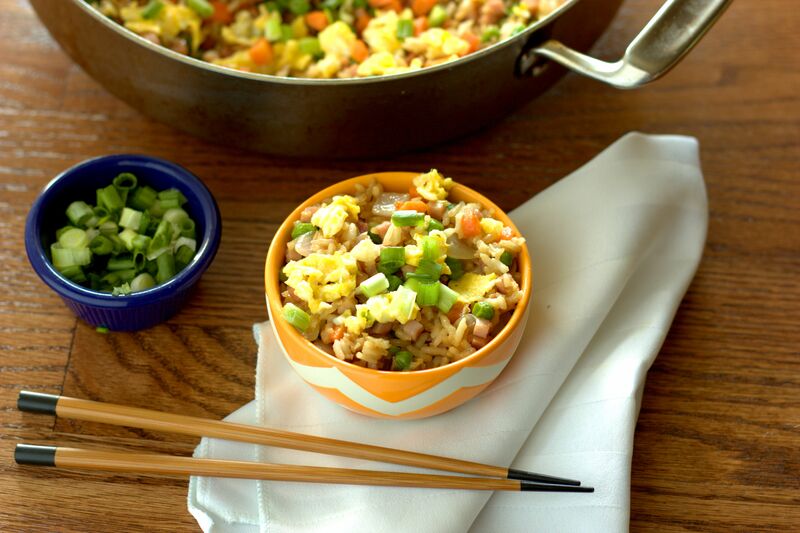 Remove egg, and stir into rice mixture. Serve, garnishing with sliced green onion. This entry was posted in Entree and tagged eggs, ham, rice, vegetables.